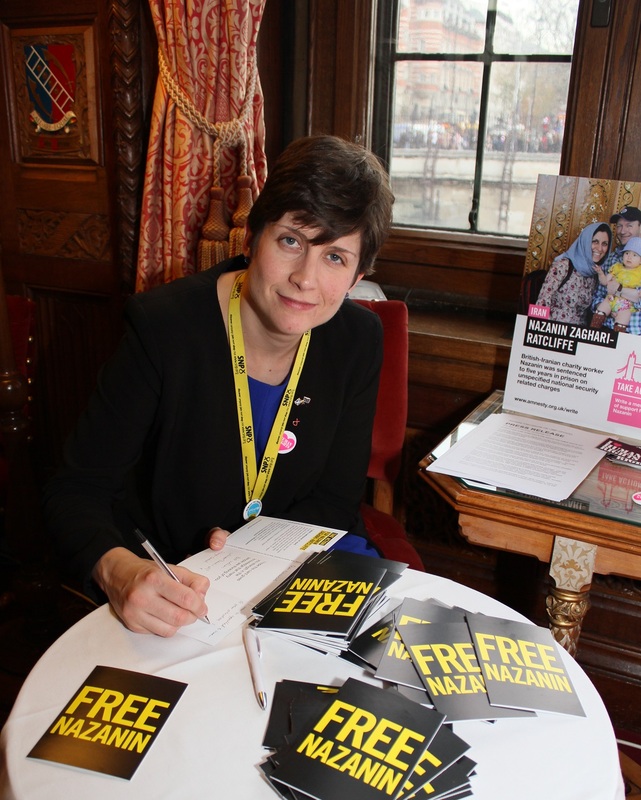 To celebrate International Human Rights Day (Saturday 10th December), Alison Thewliss MP took part in Amnesty International’s largest annual letter writing campaign at a reception in Speakers’ House in Westminster Palace. Alison Thewliss MP joined other Members of Parliament and staff and campaigners from Amnesty International to appeal to Iran to call for the immediate release of Nazanin Zaghari-Ratcliffe as part of Amnesty’s Write for Rights Campaign. Amnesty’s Write for Rights encourages people around the world to send personal messages of support to people behind bars, or whose lives are in serious danger. Former Al Jazeera foreign correspondent Sue Turton, who had been charged and tried in absentia in Egypt, after being falsely accused with eight of her colleagues of aiding and abetting the Muslim Brotherhood, spoke at the reception. Sue Turton said: “Locking up a journalist who is asking too many questions can scare others into self-censorship clearing the way for further abuses to be committed with impunity. “There has never been a greater need for balanced, well-researched journalism….But those of us who go into conflict and war zones need to know someone has our backs. That someone for (imprisoned Egyptian photographer) Shawkan is all of us.